CMM-2R Mobile Oil Stations - GlobeCore. Oil Purification Systems. 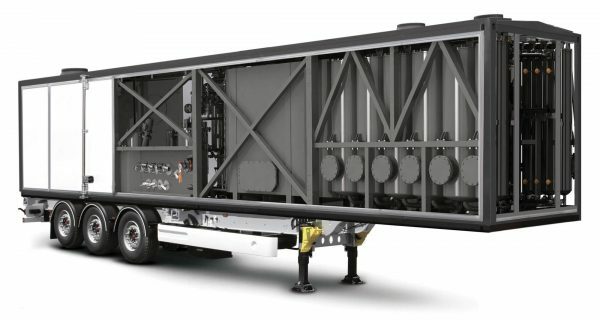 Mobile Oil Stations CMM-2R It is well known that power transformers are widely used in the transmission of electricity all over the world. The availability of electric power transformers replaces a huge number of cables that would be tangled in a chaotic fashion visible from the street in communities all around the world. Electric power transformers allow electric companies to convert voltage by either stepping it up or down and directing it to smaller conductors and consumers. When electric power transformers operate with alternating current, they will lose part of the transmitted energy through what is known as “heat loss.” Thus, without reducing energy losses from heat, the transmission process becomes increasingly inefficient. In order to prevent a fault in the transmission system, dielectric insulating liquid is used in transformers to remove heat and protect the transformer from breakdowns and failures. Due to the chemical composition and good dielectric properties of high-quality transformer oil, it is capable of effectively cooling the internal systems of electric power equipment and prevents overheating, failures, and breakdowns. During its service life while under the influence of various internal and external factors, transformer oil will become oxidized. The oil oxidation and aging process is due to thermal degradation as a result of water, moisture, air and particulate matter slowly contaminating the oil and solid insulation.The oil’s viscosity coefficient determines not only the level of quality of the insulating oil, but also acts as an indicator of resistance to oxidation. Due to active oxidation processes, oil gradually loses its performance characteristics that includes the ability to carry current (dielectric strength), and the ability to protect against electrical faults and short circuits.After a certain period of time without the proper servicing, transformer oil can actually begin to hurt and cause damage to the solid insulation. As the oil’s “Acid Number” increases, it will become aggressive towards the solid insulation contributing significantly to faults, breakdowns and power failures. The corrosion, breakdowns, and sludge are not merely signs of oil contamination, but of the complete and total degradation of the liquid and solid insulation. 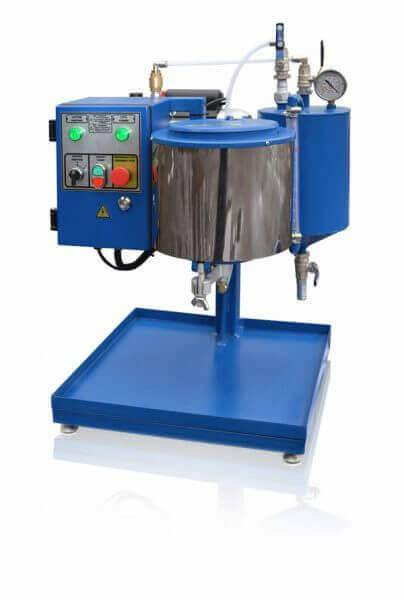 The GlobeCore CMM Model is an oil processing machine used for transformer oil regeneration. It is fully capable of the full and complete restoration of contaminated oil back to its original new like condition. It restores the performance characteristics of the insulating oil and fully cleans the inside of the transformers of harmful deposits and contamination.Thanks to this high quality type of GlobeCore oil processing equipment, your company is able to reduces operating costs by eliminating oil disposal costs, by reducing the need to purchase new oil, and by reducing downtime needed service and/or repair damaged power equipment. 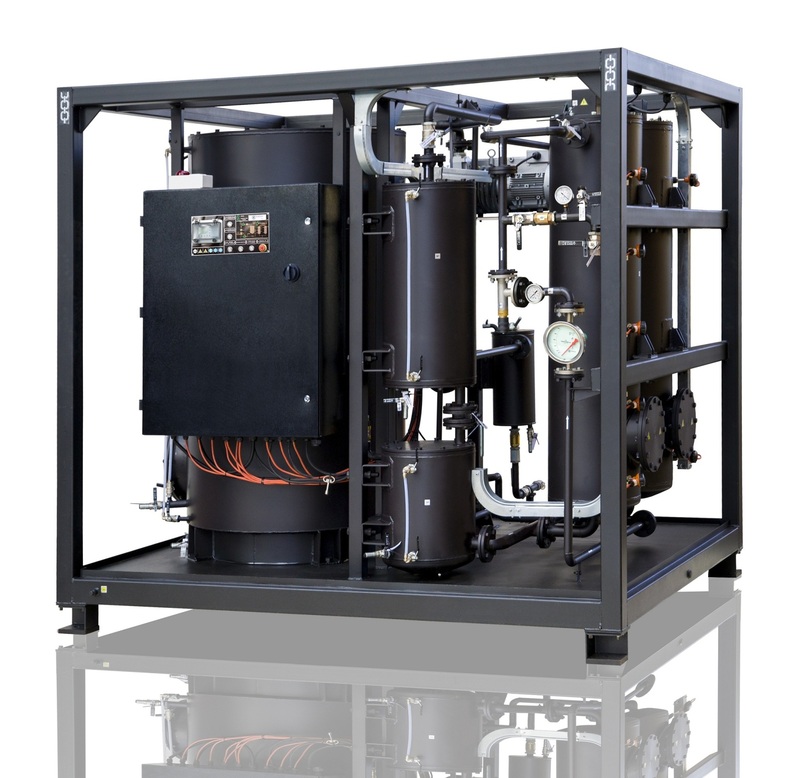 The GlobeCore CMM oil processing unit is based on the use of Fuller’s Earth to clean, filter, and regenerate used oils and fluids. GlobeCore engineers have specifically developed the CMM-2R model for oil processing and regeneration using Fuller’s Earth. The CMM-2R consists of two columns of Fuller’s Earth sorbent materials that can operate independently. This allows the CMM-2R to regenerate oil and reactivate saturated adsorbent materials simultaneously. The CMM-2R is connected directly to the transformer oil tank and works completely automatically and autonomously without further resetting of the control systems. 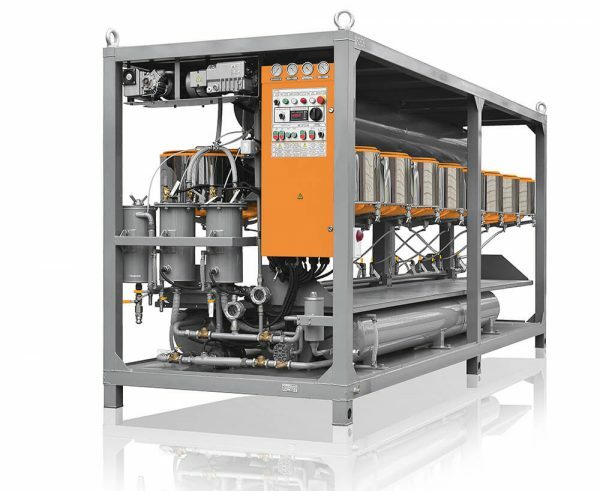 The machine is capable of executing several functions at once: (1) pumping waste oil; (2) filtering and regeneration of waste oil; (3) reactivation of the sorbent during oil processing; and (4) allows the smooth uninterrupted operation of the transformer during processing. The CMM-2R is able to process 1.5 tons of oil in 4 hours depending on the contamination levels of the oils and hydraulic fluids. One of the biggest advantages of the CMM-2R is the machine’s ability to reuse the sorbent material over and over again without the need to remove and replace saturated sorbent after each regeneration cycle. Automatic sorbent reactivation saves time and money and eliminates sorbent disposal costs.Here at GlobeCore we believe in an individual approach to the design and construction of models like the CMM-2R to meet the needs of you, the customer. We offer high speed order execution, delivery, and ease of installation and operation. Our “service after purchase ” contributes to customer satisfaction and the preservation of their financial resources.